Gerrold, a science fiction writer from California, adopts a son who has a slight behavioral problem. He believes himself to be a Martian. Gerrold begins the long, involving work of trying to earn the acceptance of Dennis, a hyperactive eight-year-old who desperately wants a father's love, but is so insecure he feels he must be an alien. Gerrold's memoir of the first two years with Dennis ends with the climax of Dennis running away and waiting in a city park at night for the flying saucers to come and reclaim him. Funny, endearing, and at times, heartbreaking, this is a beautifully written testament to fatherhood. This book is semiautobiographical. 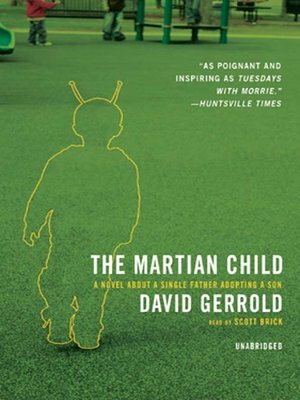 Gerrold did adopt a son, but he heard about a boy who thought he was a Martian from another adoptive father.